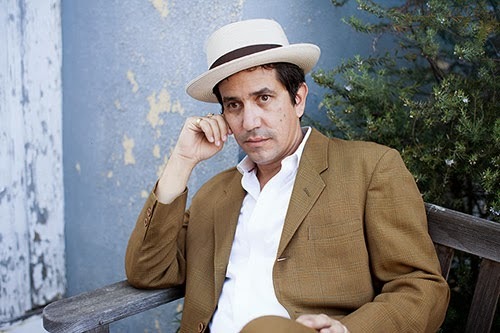 Discussions Magazine Music Blog: An EXCLUSIVE interview with AJ CROCE! 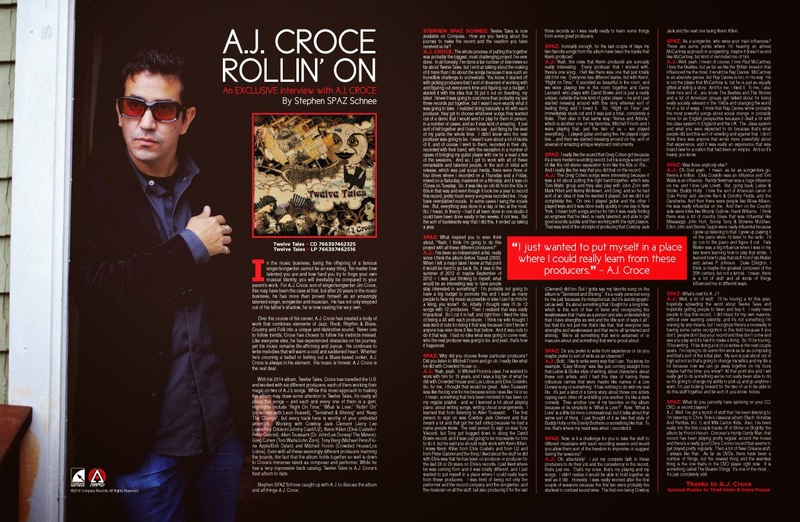 An EXCLUSIVE interview with AJ CROCE! In the music business, being the offspring of a famous singer/songwriter cannot be an easy thing. No matter how talented you are and how hard you try to forge your own musical identity, you will inevitably be compared to your parent’s work. For A.J. Croce, son of singer/songwriter Jim Croce, this may have been the case at first, but after 20 years in the music business, he has more than proven himself as an amazingly talented singer, songwriter and musician. He has not only stepped out of his father’s shadow, he is now casting his very own. Over the course of his career, A.J. 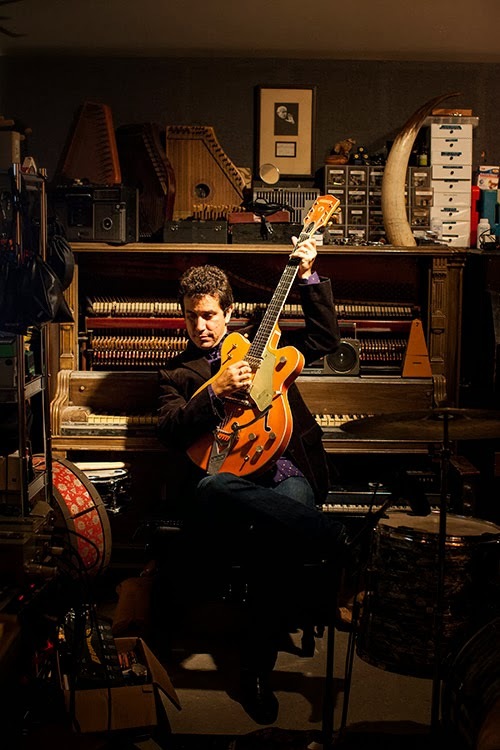 Croce has created a body of work that combines elements of Jazz, Rock, Rhythm & Blues, Country and Folk into a unique and distinctive sound. Never one to follow trends, Croce has chosen to follow his instincts instead. Like everyone else, he has experienced obstacles on his journey, yet his music remains life-affirming and joyous. He continues to write melodies that will warm a cold and saddened heart. Whether he’s crooning a ballad or belting out a Blues-based rocker, A.J. Croce is always in his element. His music is honest. A.J. Croce is the real deal. 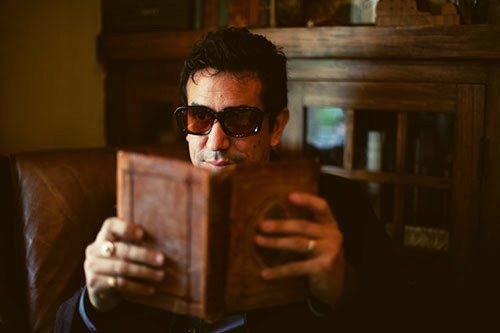 With his 2014 album, Twelve Tales, Croce has travelled the U.S. and worked with six different producers, each of them working their magic on two of A.J.’s songs. While this novel approach to making the album may draw some attention to Twelve Tales, it’s really all about the songs – and each and every one of them is a gem. Highlights include “Right On Time,” “What Is Love,” “Rollin’ On” (co-written with Leon Russell), “Tarnished & Shining” and “Keep The Change”, but every track here is worthy of your undivided attention. Working with Cowboy Jack Clement (Jerry Lee Lewis/Roy Orbison/Johnny Cash/U2), Kevin Killen (Elvis Costello/Peter Gabriel), Allen Toussaint (Dr. John/Lee Dorsey/ The Meters), Greg Cohen (Tom Waits/John Zorn), Tony Berg (Michael Penn/Fiona Apple/Bob Dylan) and Mitchell Froom (Crowded House/Los Lobos). Even with all these seemingly different producers manning the boards, the fact that the album holds together so well is down to Croce’s immense talent as composer and performer. 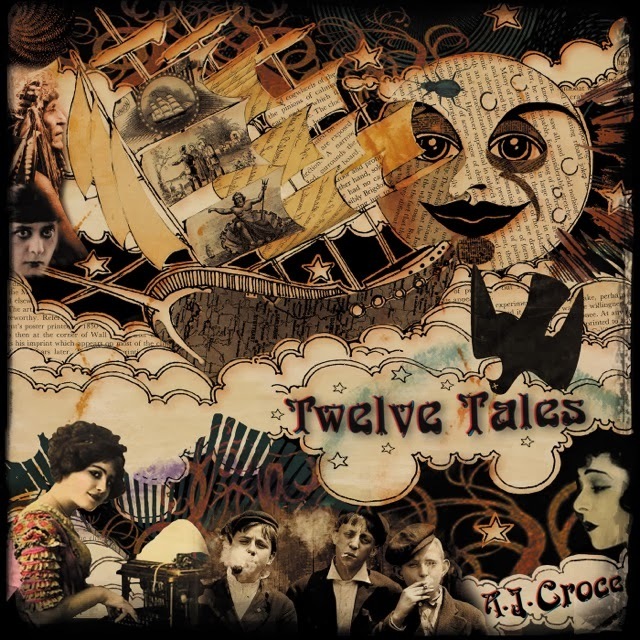 While he has a very impressive back catalog, Twelve Tales is A.J. Croce’s best album to date. STEPHEN SPAZ SCHNEE: Twelve Tales is now available on Compass. How are you feeling about the journey to make the record and the reaction you have received so far? A.J. CROCE: The whole process of putting this together was probably the biggest, most challenging project I’ve ever done. In all honesty, I’ve done a fair number of interviews so far about Twelve Tales, but I end up talking about the making of it more than I do about the songs because it was such an incredible challenge to orchestrate. You know, it started off with picking producers that I sort of dreamed of working with and figuring out everyone’s time and figuring out a budget. I started it with the idea that I’d put it out on Seedling, my label. I knew it was going to cost more than probably my last three records put together, but I wasn’t sure exactly what it was going to take. I realized doing basically a 45 with each producer, they got to choose whichever songs they wanted out of a demo that I would send or play for them in person, in a number of cases, and so it was kind of amazing. It just sort of fell together and I have to say - just flying by the seat of my pants the whole time. I didn’t know who the next producer was going to be. I wasn’t sure about a lot of facets of it, and of course I went to them, recorded in their city, recorded with their band, with the exception in a number of cases of bringing my guitar player with me for a least a few of the sessions. And so, I got to work with all of these remarkable and talented people. You know, Cowboy Jack Clement, that’s one of his last sessions. I think it’s his last session. I had met him at 17 and had a chance to work with him and stayed in touch ever since then, 27 years ago. It was a complete sort of trip to be able to go back and sit down with him and have him pick the songs that he thought were right for the album or for him to produce, and then do it. We did that in a day. It’s funny – we did this album in a sort of a curious way because the budget was - I never knew what was going to happen. It started off with Seedling sort of paying for the first part of it and then I ran out of money to invest in it and so I went to Kickstarter and Kickstarter paid for a couple more songs after the first four. Then, unfortunately, it wasn’t enough. Usually you work with one producer in one studio with one band and you can do it fairly economically in this sort of modern age of recording, but in this case, it was six producers, six bands. Sometimes the producers were not engineers. A lot of times they were not engineers and so in those cases I would have to mix it outside of the studio. So it ended up being nine different engineers on it including the ones that did it in-house. Like Kevin Killen - is a master, just one of the best out there, but yeah, it was a trip. And I added the additional challenge of trying to release one - not trying, but releasing one single a month last year on ITunes, which ended up being the hardest part of it because there wasn’t a lot of breathing room in making sure that it was up in time each month. Even though I was recording two songs with each producer, I didn’t want it so that the listener was listening to the two back-to-back songs month after month by a producer. I wanted them to go hey, I like what that producer did and here’s another producer, I like that or I don’t like that, I’m going to go back because I like what that other producer did. So, we would do three producers in a row and then repeat those three producers. That’s how we did it last year. In the sort of initial soft release, which was just social media, there were three or four times where I recorded on a Thursday and a Friday, mixed on a Saturday, mastered on a Monday, and it was on ITunes on Tuesday. So, it was like an old 45 from the 50s or 60s in that way and even though it took me a year to record this record, pretty much every song was recorded live. I may have overdubbed vocals. In some cases I sang the vocals live. But, everything was done in a day or two at the most. So, I mean, in theory – had it all been done in one studio it could have been done easily in two weeks, if not less. But the sort of backwards way that I did this, it ended up taking a year. A.J. : I’ve been an independent artist, really since I think the album before Transit (released in 2000). When I left a major label I knew at that point it would be hard to go back. It would be hard to have that kind of marketing and press and get the kind of success that I had gotten from being with BMG. So, I was always trying to find ways to get people to write about it and I kept on running into a brick wall because a lot of journalists would say I like his music or I’d be interested in hearing it at least, but what’s the story? Give me a story, tell me something that’s unique about this, and that’s hard because a lot of times I just put my heart and soul into this album and what else is there to say? So, it was in the summer of 2012 or maybe September of 2012 – I was just thinking to myself, what would be an interesting way to have people stay interested in something? I’m probably not going to have a big budget to promote this and I want as many people to hear my music as possible or else I can’t do this for a living, you know? So, initially I thought okay I’ll do 12 songs with 12 producers. Then I realized that was really impractical. So I cut it in half, and right then I liked the idea of being a 45 with each producer. So, I thought okay, well there’s a story. That’s something interesting for people to at least be intrigued by and then I thought what if I release one song a month and give people a taste of what’s going on while I’m doing it, and that’s really it. I think my wife thought I was kind of nuts for doing it that way because I don’t know if anyone has ever done it like that before. And it was nuts to do it that way. I had no idea what was going to come next, who the next producer was going to be, and yeah, that’s how it happened. Some of the interesting stuff about it too, honestly, are some of the producers that wanted to do it, but couldn’t, and it was fascinating because I still auditioned for them in person. Like with Joe Henry – I sat down with him and recording the song just on my iPhone for him just so that he would have it. I ended up playing it differently than I would have played it otherwise. Even though Joe and I wanted to work together, our schedules conflicted so I ended up doing that song with Tony Berg and it was that particular song, approaching it that way that made it interesting. SPAZ: Why did you choose these particular producers? Did you listen to Mitchell Froom and go oh; I really like what he did with Crowded House or…? A.J. : Yeah, yeah. In Mitchell Froom’s case, I’ve wanted to work with him for 15 years, and I was a big fan of what he did with Crowded House and Los Lobos and Elvis Costello. So, for me, I thought that would be great. Allen Toussaint was like the big one for me because since I was like 14 or so - I mean, something that he’s been involved in has been on my regular playlist - and so I learned a lot about playing piano, about writing songs, writing choral arrangements. I learned that from listening to Allen Toussaint - so you know, it can’t hurt to ask. The worst thing that someone can say is no. So I had pretty high hopes with at least getting a couple of people to be interested. Things happened in an interesting way. The first person to sign on was Cowboy Jack Clement and that meant a lot and that got the ball rolling because he had a name people knew. The next person to sign on was Tony Visconti, but Tony got bogged down in doing the David Bowie record, and it was just going to be impossible for him to do it, but he said you should really work with Kevin Killen. I knew Kevin Killen from Elvis Costello and from U2 and from Peter Gabriel and the thing I liked about the stuff he did with Elvis was that he has been co-producer or producer for the last 28 or 29 years on Elvis’s records, and Elvis I’ve always admired for having no particular box to fit in easily. Taking a chance and doing things in a totally different way, and Kevin has been there for almost 30 years. I talked about the song, at least one of the songs - I wasn’t sure what the second song would be. I just liked where he was coming from and it was totally different, and I just wanted to put myself in a place where I could really learn from these producers. I was tired of being not only the performer and the record company and the songwriter, and the musician on all the stuff, but also producing it for the last three records so I was really ready to learn some things from some great producers. SPAZ: Ironically enough, for the last couple of days my two favorite songs from the album have been the tracks that Kevin produced. A.J. : Yeah, the ones that Kevin produced are sonically really interesting. Every producer that I worked with, there’s one song…I felt like there was one that just totally did it for me. Everyone has different tastes, but with Kevin, “Right on Time.” It sounded so beautiful in the room, and we were playing live in the room together and Gary Leonard, who plays with David Bowie and is just a really unique, outside-the-box kind of guitar player – he and I just started messing around with this very ethereal sort of feeling thing and I loved it. So, “Right on Time” just immediately stuck out and it was just a total, completely a fluke. Then also in that same way, “Venus and Adonis,” which is another one of my favorites, Mitchell Froom and I were playing that, just the two of us – we played everything….I played guitar and sang live. He played organ live….and then we started messing around on his, sort of arsenal of amazing antique keyboard instruments. It’s a real instrument, beautiful, absolutely beautiful instruments. So that was a thrill because the two of us were just sort of thinking together and to have two keyboard players, even though I was the guitarist on that, have two keyboard players together is just a rare thing. Usually you have one keyboard player, they need to be able to do everything, and you don’t get to play with other keyboard players. SPAZ: I really like the sound that Greg Cohen got because it’s a very modern sounding record, but his songs sound sort of like the old stereo separation from like the 60s or 70s…you know the way that people used to produce…so you’re hearing the instruments clearly in different channels as opposed to just sort of bleeding over each other. And I really like the way that you did that on the record. A.J. : The Greg Cohen songs were interesting because it was a lot about putting this right band together, which was Tom Waits’ group and they also play with John Zorn with Mark Ribot and Kenny Wollesen, and Greg, and so he had sort of an idea of how he wanted it played, but we did it all completely live. On one I played guitar and the other I played keys and it was done quickly. It was all done really quickly in one day in New York. I mean both songs and so for him it was really finding an engineer that he liked, is really talented, and able to get good sounds quickly and then working with the right players. That was kind of the old style of producing that Cowboy Jack did too. Everything is set in the room. Everything always goes in the same place and the drums are set up here, the bass set up there, and the piano stays where it is, and it was about finding the right song and then just choosing the right players for that song and then just doing a few passes until you get it right. We did both those songs in 5 hours and it was done. We ended up mixing it in Los Angeles, but everything was recorded quickly. It was probably one of the most relaxed sessions because I had lived in Nashville and friends and people were dropping by and bringing instruments – “Hey, do you want to try this,” you know… “Get some electric on this,” “You want to try this amplifier,” whatever it was – it was casual and completely efficient. That was fun. My favorite, I gotta say my favorite song on the album is “Tarnished and Shining.” It’s a really personal song for me just ‘because it’s metaphorical, but it’s autobiographical as well. It’s about something that I fought for a long time, which is this sort of fear of fame and recognizing the weaknesses that I have as a person and also understanding that I have strengths as well and the title sort of says it all - but that it’s not just me that’s like that, that everyone has strengths and weaknesses and that we’re all tarnished and shining. We’re all something that we’re ashamed of or insecure about and something that we’re proud about. SPAZ: Do you prefer to write from experience or do you maybe prefer to sort of write as an observer? SPAZ: Now, is it a challenge for you to take the stuff to different musicians with each recording session and would you allow them sort of the freedom to improvise or suggest during the sessions? A.J. : Oh, absolutely! I put my compete faith in these producers to do their job and the consistency in the record, that’s just me. That’s my voice, that’s my playing and my songs. I didn’t realize it would be able to hold together as well as it did. Honestly, I was really worried after the first couple of sessions because the first two were probably the starkest in contrast sound-wise. The first one being Cowboy Jack and the next one being Kevin Killen. I mean, there were all kinds of curious things would happen along the way too where I thought a producer would take one song, definitely sort of encourage them to think about at least one song, because I thought they would do it really well. I think Kevin Killen had wanted to do “Tarnished and Shining,” but when we got to the recording, it just wasn’t grooving right. It just didn’t feel right. So, I pulled out, I said here, let’s play a handful of songs and see what the band is going to play well on and everyone sort of agreed on “Keep the Change” for the second song. Then I thought that “Easy Money” would be something that Allen Toussaint might do, but Cowboy heard it first and said yeah we gotta do this one. To him, it was not like a New Orleans thing as much as it was kind of like a late 50s Charlie Rich “Mohair Sam” kind of groove. Being that he produced that stuff, he heard it right away. With Allen Toussaint, I had no idea what I was going to play until I got there. Same thing with Greg Cohen. I didn’t know what I was going to do. I knew that I would do “The Time is Up,” but I didn’t know what the other song would be. So, that was another challenge in the sense of sort of not knowing which songs were going to fit together because I continued to write during the process so that everyone had 15 songs to choose from. SPAZ: How many songs did you sort of have in backlog? A.J. : I think I had 23 or 24 songs that were ones that I liked enough to at least demo and put on the list. SPAZ: Are there any that you felt really strong about that didn’t make the record? A.J. : There were a couple that I liked that didn’t make the record and they didn’t make the record for a good reason. While they had something that was strong about them in one way, they weren’t really so completely defined. It would take me looking at those songs again and thinking about it for a while before I think they’re ready to be done. So, it was no accident. There was one in particular I thought that actually was ready and totally good to go that didn’t get done and it’ll probably end up on the next one. A.J. : Yeah (laughs)…. I’m not going to be doing this thing again! It was pretty hard and it created great anxiety on a number of occasions. SPAZ: Now I know that the album, it has so much joy and belief in what you’re doing, but there’s so many influences that bounce around. As a songwriter, who were your main influences? There are some points where I’m hearing an almost McCartney approach in songwriting, maybe it doesn’t sound like McCartney, but kind of reminded me of him. A.J. : Well, yeah, I mean of course, I love Paul McCartney. I love the Beatles, but as far as like the British invasion that influenced me the most, it would be Ray Davies. McCartney is an absolute genius, but Ray Davies is too, in his way. He is not the player that McCartney is, but he is just as equally gifted at telling a story. And for me, I liked it. To me, I also think he’s sort of…you know the Beatles and the Stones and a lot of American groups get talked about for being really socially relevant in the 1960s and changing the world for in a lot of ways. I think that Ray Davies wrote probably the most powerful songs about social change or probably more for an English perspective because it dealt a lot with the class system in England and the UK. The class system and what you were expected to do because that’s what people did and this sort of rebelling and against that, I don’t think there was anyone that wrote more powerfully about that experience, and it was really an experience that was brand new for a nation that had been an empire. And so it’s heavy, you know. SPAZ: Was there anybody else? A.J. : Oh God yeah. I mean, as far as songwriters go, there’s a million. Elvis Costello was an influence and Tom Waits is an influence. Randy Newman was a huge influence on me, and I love Lyle Lovett. But, going back, Leiber & Stoller, Buddy Holly. I love the sort of American canon of Cole Porter and Jerome Kern & Dorothy Fields, and the Gershwins. I love that stuff. I don’t necessarily need to hear someone else do one of those songs again real soon, but that’s just my own taste, you know. And then there was people like Mose Allison. He was really influential on me. And then on the Country side were folks like Woody Guthrie, Hank Williams. I think there was a lot of country blues that was influential like Mississippi John Hurt, Sonny Terry & Brownie McGhee. Elton John and Bernie Taupin were really influential because I grew up listening to that. I grew up playing it on the piano when I’d listen to the radio. I’d go run to the piano and figure it out. Fats Waller was a big influence when I was in my late teens learning how to play that stride. I learned how to play that stuff from Fats Waller and James P. Johnson. Duke Ellington, I think, is maybe the greatest composer of the 20th century, but not a lyricist. I mean, there is a lot of stuff and all kinds of things influenced me in different ways. Cat Stevens I love and was influenced by. Things influence me in different ways and sometimes an artist influences me that is more of a musician, less of a lyricist, but just a great musician and then other times it will be the lyricists, that you hear this lyric and you’re just completely devastated by. SPAZ: What’s next for A. J.? A.J. : Well, a lot of stuff. I’ll be touring a lot this year, hopefully spreading the word about Twelve Tales and hopefully getting people to listen and buy it. I really need people to buy this record. I did music for my own reasons, without ever wanting celebrity, and it’s not something I’m craving by any means, but I recognize there’s a necessity in having some name recognition in this field because if you don’t, people don’t buy your record and they don’t come and see you play and it’s hard to make a living. So I’ll be touring. I’ll be writing. I’ll be doing a lot of co-writes in the next couple years. I’m hoping to do some film work as far as composing and that’s sort of the initial plan. My son is just about out of high school so that’s going to change my wife’s and my life a lot because now we can go away together on my tours maybe half the time, you know? At that point she and I will really get to do something we’ve not really been able to do so it’s going to change my ability to pick up and go anytime I want. I’m not trying to kick my son out (laughs) but my life is going to change in about a year. My daughter is grown up and out of the house. We have a great relationship, but it’s really interesting because I had to tour so much when she was young that I missed things that I really regret. With my son, I was home a lot more just because I had got burnt out on missing things that were important in life, but I still have to go out and play. I still have to do it so I’m really glad - we started young having kids and parenting and stuff so I’m just looking forward to, for the two of us, to be able to do this stuff together and be sort of, you know, hobos. SPAZ: What do you currently have spinning on your CD, DVD, or record players? A.J. : Well, I’ve got a bunch of stuff that I’ve been listening to. I’m listening to Chris Thile’s classical album (Bach: Sonatas And Partitas, Vol. 1) and Milk Carton Kids. Also, I’ve been really into the first couple tracks off of Shine on Brightly, the album by Procol Harum. Donovan’s Hurdy Gurdy Man, that record has been playing pretty regular around the house and there’s a really good Chris Connor record that seems to get played pretty regularly. Then a lot of New Orleans stuff, I always like that. As far as DVDs, there have been a number of things, but the newest thing and the weirdest thing is the one that’s in the DVD player right now. It is something called The Beaver Trilogy. It’s one of the most…. It’s just completely odd. 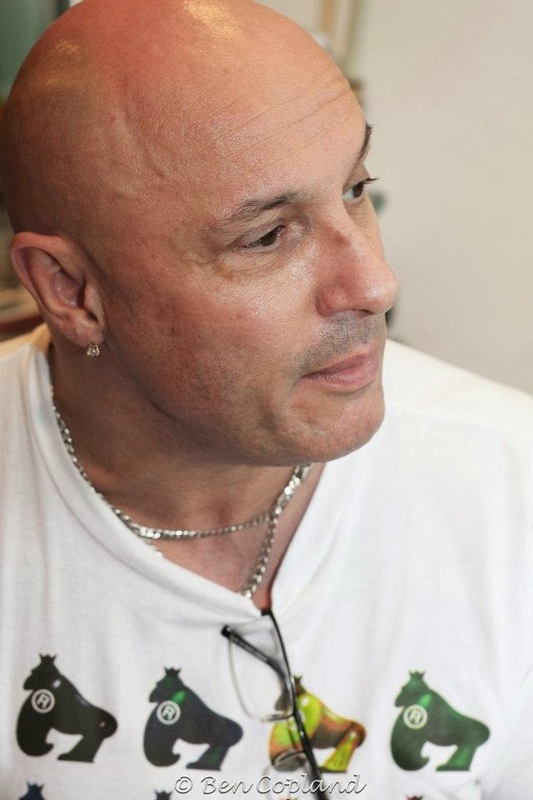 FRED FAIRBRASS (Right Said Fred): Do you find the advantages of being the son of a famous singer outweigh the disadvantages or vice versa? A.J. : You know what, I would say it’s probably 50/50. In all honesty, there are phone calls that have been answered because of my last name and maybe wouldn’t have gotten answered otherwise. On the flip side, there’s a lot that goes with it and people want – they love the celebrity facet. It’s complicated, it’s really complicated. It’s hard to be written about without my father being part of it. And I love his music. I think he was great and I was influenced by his writing. I think he was an amazing songwriter - really, really gifted, and performer, and artist. But at the same time, I think myself it would be really nice if I had maybe either changed my name or done projects as a band using my name because you can’t escape that, you know? It’s not a common last name so you know people go to it right away. So yeah, I think that some people had expectations of me early on doing his stuff, and I just refused to do it, as I came to guitar late and it was just maybe 10 years ago that I really started to embrace even thinking about doing a song of my dad’s. Now it’s like it’s a piece of cake and I love it and it’s like people that have been following me for 20 years come and they may have found me because of my dad and finally I’ll perform a song of his and it seems like people are really emotional about it, and it’s really nice. I don’t have any intention of doing an album of his by any means because he already did an album of his. A.J. : Yeah, celebrity is a weird thing and it’s really complicated. People are completely fascinated by it. Very few people can get that out of their head so you know even close friends will go, will go “This is A. J. Croce” to introduce me to someone - “That’s Jim Croce’s son.” Anyone that doesn’t have a celebrity as a relative doesn’t have that introduction and so there is nothing tied to who they are until they prove who they are. For me, they have assumptions that are probably not true because they just don’t know me, but they associate me with that. So it’s impossible to disassociate from that. I think as I got older, I take it with a grain and I’m proud of what he did. I spend a lot of my time working his catalogs to make sure, as a publisher, that people remember his music because I love it and a lot of people all over the world love it. So it’s part of my life and because it is, I embrace it.